At the end of last year I decided that I wanted to create a new way for people to buy magazines online. My ambition was to create the cheapest, easiest way for people to take a chance on a magazine they probably wouldn’t otherwise have read, and last month Sampler was born. You can read more about the background to Sampler in my previous Medium post, or see a brief overview of the week by week sales on the Stack blog. But in this post I want to take a few minutes to reflect on how things have turned out so far, and to share what’s coming next. And this is a good time to pause, because as of this morning, Sampler is on holiday. 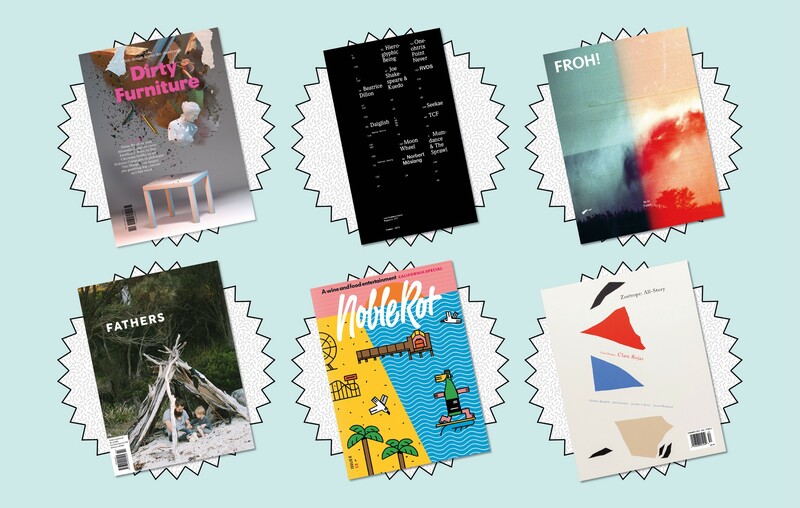 There are almost no independent magazines published during August, so it makes sense that as the world’s independent magazine makers head off to the beach, Sampler should follow them. The break also provides a handy halt in our regular schedule of weekly sales, allowing us to make some changes behind the scenes so that when Sampler returns on Thursday 3 September it’ll be better than ever. First of all, I’m pleased to say that Sampler has had a tremendous start. Half of the weekly magazine offers sold out completely, and in total we sold 517 copies over the first six weeks, sending fantastic independent magazines to customers all around the world. But right at the start, as the first offer sold out in just under 24 hours, I realised I’d made a fundamental mistake — one so glaringly obvious I still can’t believe I missed it. Well, yeah. But what’s not cool is when somebody buys a copy, and then has to wait a couple of months for their magazine to be delivered. Duh. I’m embarrassed to say that the 100 people who bought copies of Dirty Furniture in the first ever Sampler sale still haven’t received their magazines yet. That’s because I was obsessed by Sampler making the magazine available to order as soon as the cover and first spreads were ready, instead of waiting for the actual magazine to be printed and ready to go. Of course I was completely open with customers about how long they’d have to wait for their copies, and nobody actually went so far as to complain, but emailing back and forth with people I could feel that after all the excitement of seeing the new issue and ordering a copy, the long delay was a disappointment. That’s why, from essentially the second day of Sampler, I decided to abandon the idea of being the place where people would see a magazine for the first time. A related (and slightly more complex) change will be made over the summer break. It seemed obvious before Sampler started that magazines should be available for as long as possible — after all, the longer they’re available , the more people will have a chance to buy. But it became clear over the weeks that customers who bought when a magazine sold out had a better experience than customers who bought when the offer ran for a whole week. That’s because, if a magazine sells out within a day, the process of ordering from the publisher begins straight away — the magazines start their journey to the Stack mailing house, and my confirmation email lets customers know that everything is in process. But when an offer runs on for an entire week, customers who bought early are left waiting until the bitter end before the magazines begin making their way to them. So when Sampler returns from the summer break in September, offers will run from Thursday mornings through to Sunday evenings at the latest. That will greatly reduce the amount of time customers wait before their magazines arrive, helping to further improve the service. It also means that for three days every week, Sampler will not exist to sell magazines, but will instead sell itself. Anyone arriving at Sampler from Monday to Wednesday will see a brief description of what the service does, along with an email sign up box to join the mailing list of future offers. So I’m hoping the new arrangement will give customers a better experience, and will also encourage more people to join the club. I’m really pleased with what Sampler has done so far, and these changes (plus other behind the scenes stuff to improve data exports and order management) will help to make it even better. But this is all just the beginning. I’ll keep on tweaking Sampler according to feedback from customers, and I’ll keep on lining up the most exciting magazines from around the world to drop into your inbox every Thursday morning. The independent publishing world is set to go nuts in September, with a glut of fantastic titles preparing to hit the shelves. So if you’re not already part of the Sampler family, sign up with your email address and this autumn you too could discover the best way to buy independent magazines online. Founder of Stack, delivering the best independent magazines direct to your door.